Muscle Sport AMG Gainer Palatinose is a protein carbohydrate drink specially formulated for power sports, ensuring rapid recovery and muscle growth. It gives energy and the physical strength. It contains a unique combination of carbohydrates with a high proportion of palatinose, a balanced combination of rapidly absorbable protein. Muscle Sport AMG Gainer Palatinose is a protein carbohydrate drink specially formulated for power sports, ensuring rapid recovery and muscle growth. It gives energy and the physical strength. 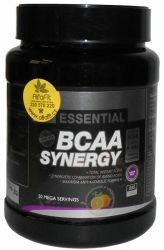 It contains a unique combination of carbohydrates with a high proportion of palatinose, a balanced mix rapidly absorbable proteins, free aminiokyseliny - L-glutamine and BCAA instantized form, moreover, a mixture of vitamins to increase the effectiveness of all major components. The saccharide component is adjusted to give controlled carbohydrate absorption. Monosaccharides, ie. Fast sugars - maltodextrin, fructose and dextrose are complemented by the disaccharide palatinose (isomalt-Oza). Controlled release of glucose units is an important factor in its effectiveness. 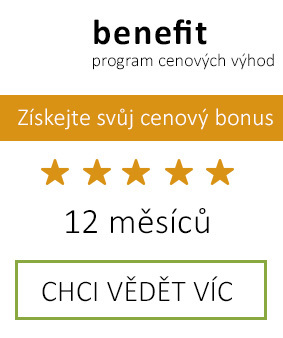 Protein component called tvoží. Rapid proteins (quickly absorbable) - whey protein concentrate and isolate, egg albumin and hydrolyzed whey protein concentrate (degree of hydrolysis 32%). Further added hydrolyzed collagen regeneration ligament tissues. 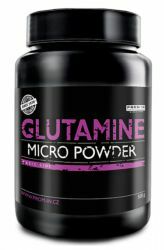 The free amino acids L-glutamine and BCAA are instantized (quickly absorbable) form. Supplemented with vitamins and trace elements, which not only accelerate the regeneration of the body, while increasing the usability of the substances used. A single dose was prepared as an instant drink, 50 g (1 scoop) was slurried in 300 ml of cold water. It is recommended to take two doses a day. It is used immediately after training, or 60-90 minutes before training, morning and evening. The dosage is adjusted depending on the body weight. Store in a dry place below 25 ° C, carefully sealed, protected from direct sunlight and frost. Keep out of the reach of children. Producer is not liable for damages caused by improper usage or storage. Do not exceed the recommended daily dose. This product is not intended as a substitute for a varied diet. Use by the date indicated on the package. Once opened, use within 6 months. Designed for Special Events nutrition. unsuitable for children, pregnant and nursing women. Not suitable for diabetics and people with respiratory disease (eg., Asthma), heart disease, blood vessels, liver and kidney disorders and blood pressure. Allergy warning: This product contains proteins from cow's milk, including lactose, soy. Flavor hazelnut contains parts of hazelnuts. BCAA, A-AKG a L – Glutamin ideal combination of amino acids for improvement of performance, protection and regeneration of muscle mass. 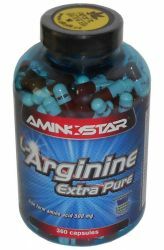 It contains the optimal dose of amino acids enriched with vitamin B6, which promotes absorption. 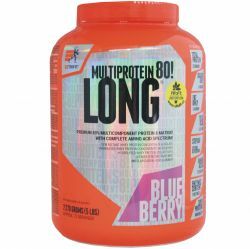 Extrifit Long 80 Multiprotein features a new, improved formula including a perfect taste, empowering experience. 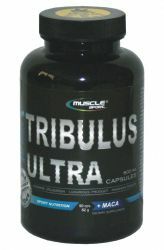 Reception quality protein source helps to increase muscle mass and for its maintenance.